Alvarez & Marsal Capital Real Estate LLC recently acquired a 4.3-acre site in the southwestern San Fernando Valley community of Tarzana for redevelopment into a creative office campus. The property, located at 18362-18424 Oxnard St, at the intersection of Oxnard and Reseda Blvd, consists of four standalone flex and industrial buildings totaling 73k sf. 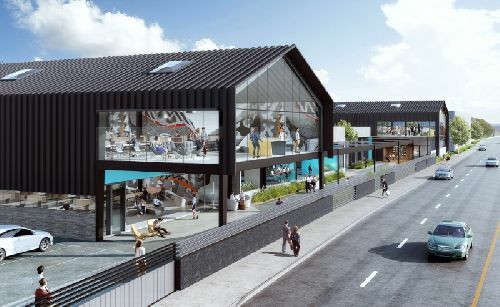 The buildings, formerly used as production space, will be converted into a state-of-the-art studio and creative office campus branded ELEVAR®. New construction to the site will add over 20k sf, bringing the total project size to approximately 96.5k sf. The campus will feature an abundance of usable outdoor space including a ‘greenbelt’, wifi-enabled patios, and an artisanal cafe. In addition to shaded outdoor areas, the facilities will include above-standard power and data capabilities, high ceilings, and a fitness center for tenants. ELEVAR will also offer ample surface level parking at over 3.4 spaces per 1,000 rsf with the added benefit of being located directly across the street from the Metro Orange Line Reseda Station. Cushman & Wakefield’s Rob Hooks, Katie Bernhisel, and Dillon Moscone, in partnership with Colliers International’s Kevin Fenenbock and Jacob Mumper, will serve as the leasing agents for the property.